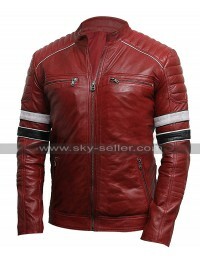 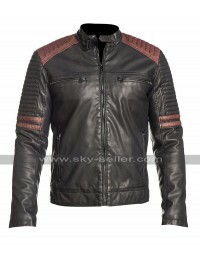 Biker jackets are always the best ones to have and this is something which may be heartfelt by the fans of these kinds of jackets. 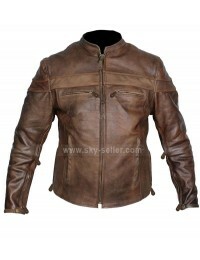 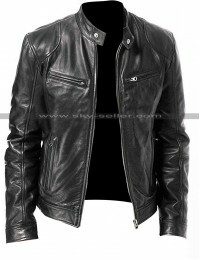 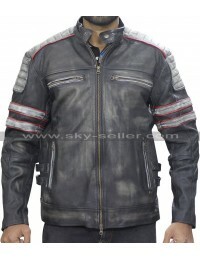 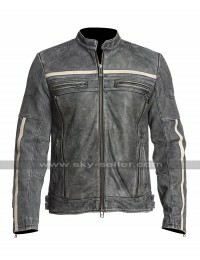 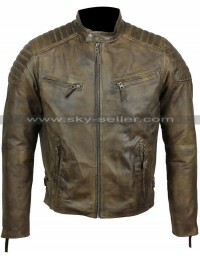 This jacket is also one of them which has been a distressed biker jacket and is gearing up the attention of many bikers out there. 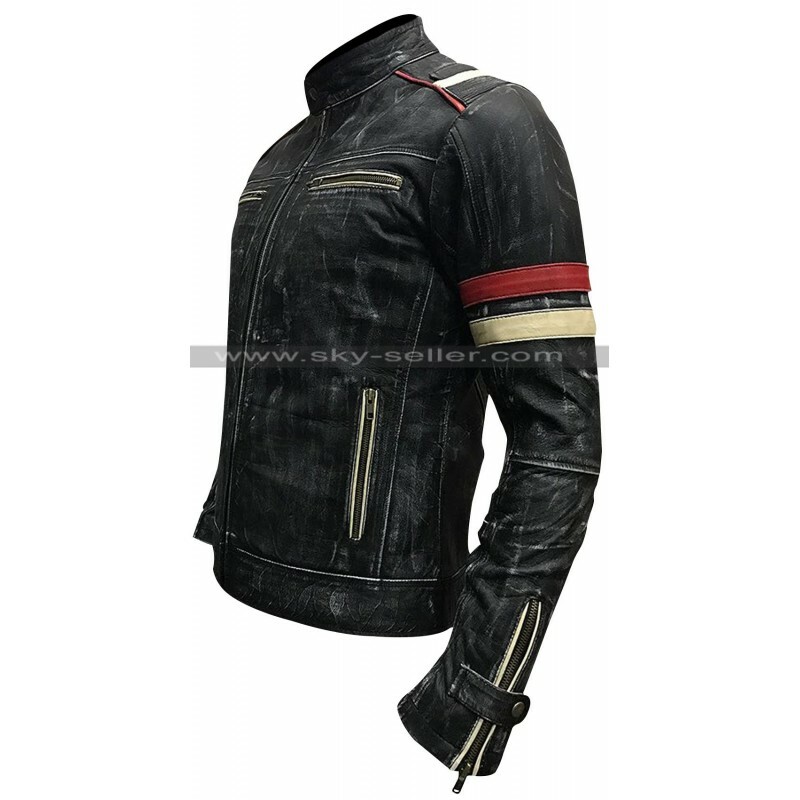 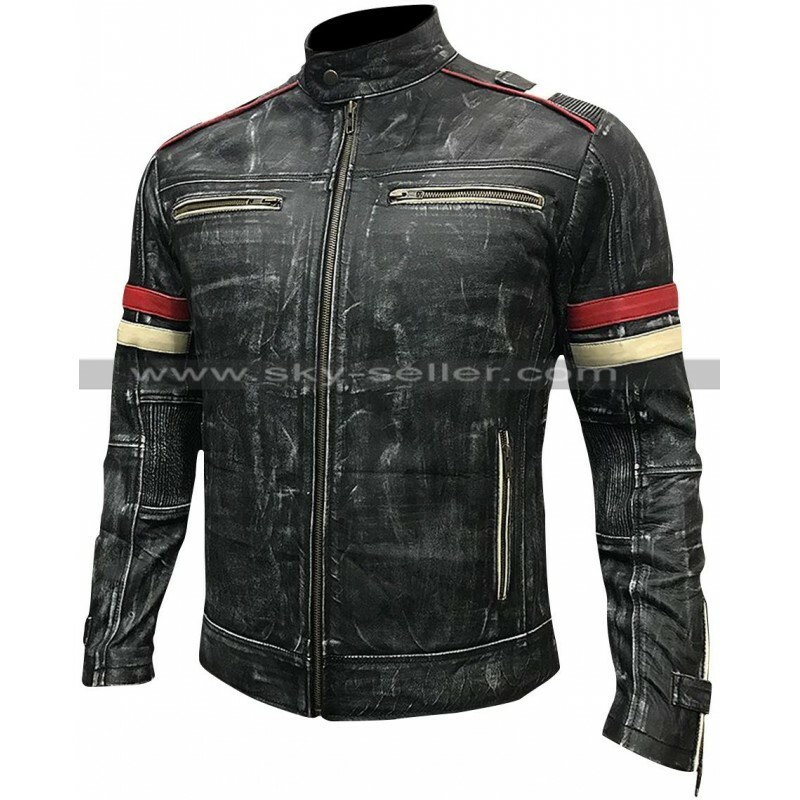 This jacket has been manufactured using distressed finishing material and the color available for purchase is also distressed black. 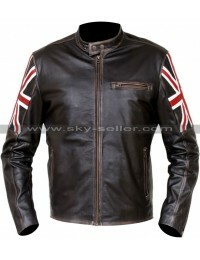 This jacket has a front closure of zip which has been topped with a round standing collar that has a button as well. 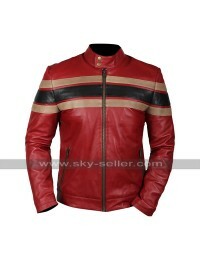 The sleeves are in full length and there is a pattern too in red color which enhances the beauty of the sleeves. 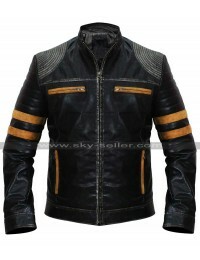 There are four pockets as well which are provided with zip closure of which two are on the sides and two on the chest side. 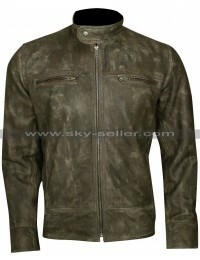 This jacket has an inner of viscose which gives ultimate comfort of all times.